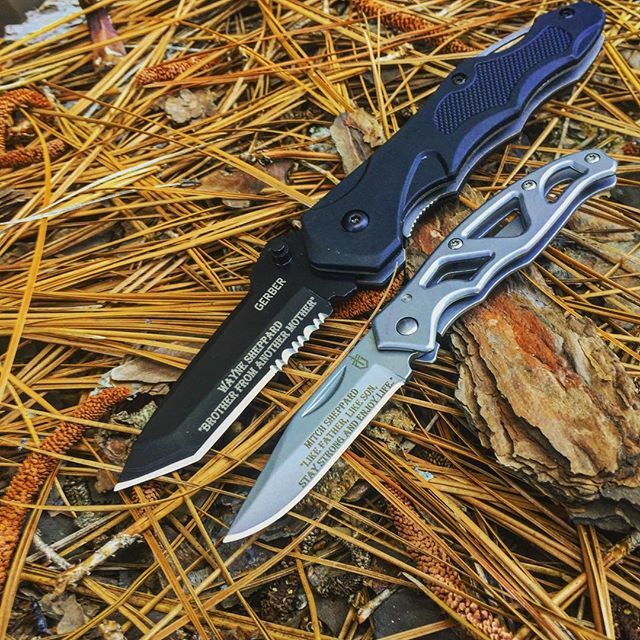 Gerber has made a combination of two of their best knives, the Kiowa and the Mini Paraframe. 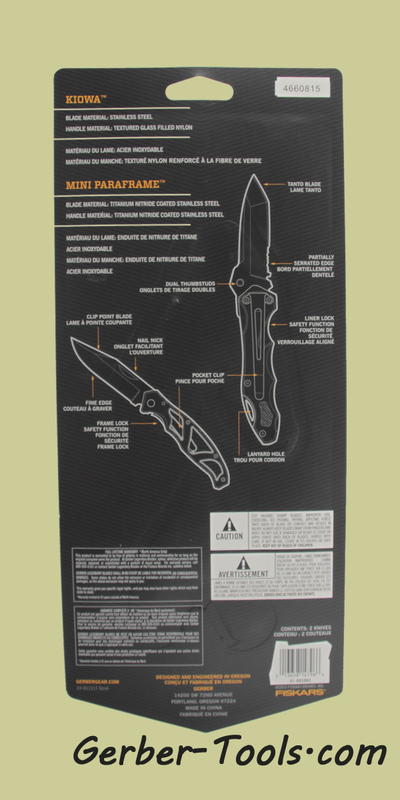 So if you can't decide which knife to get, get both in this great combo pack. The Kiowa folding knife is a half serrated blade with a tanto tip. Measures 2.8 inches for the blade and 4.5 inches for the handle. Non Slip textured glass filled nylon on the black handle with a pocket clip on back. The blade will lock in place with the liner lock feature and opens easily with the dual thumbstuds. Lanyard hole on the end. IF that is not enough for you, then lets looks at the other great knife- the Mini Paraframe. It is smaller and more lightweight with it's open holes in the titanium nitride stainless steel handle. 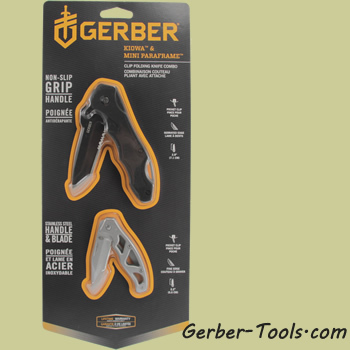 It is easily opened with the nail nick on the blade and locks into place with the frame lock safety function. 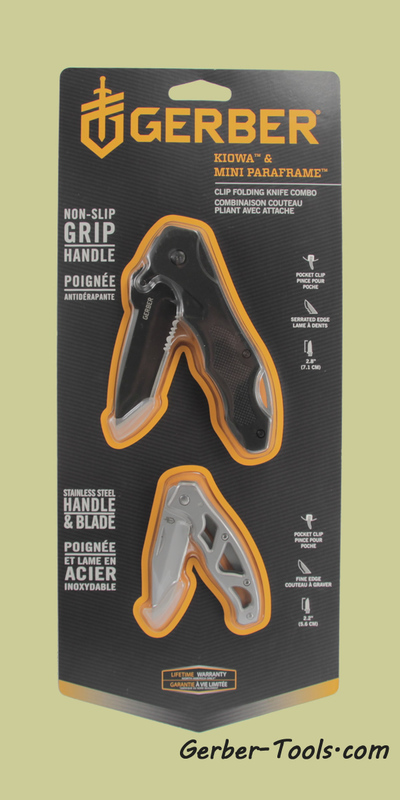 The 2.2 inch blade is a clip point with a fine edge. Pocket clip on back. This combo pack won't last long, get it now.